The other day one of the Japanese English teachers I work with handed me this, laughing. It's a photocopy he made of the cover of a student's notebook. Some people here do get the hilarity of Engrish. Right? 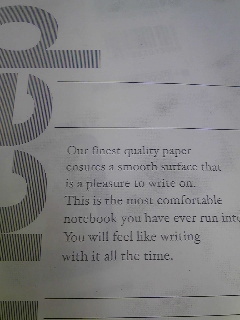 The most comfortable notebook you've ever run into...or ever will.